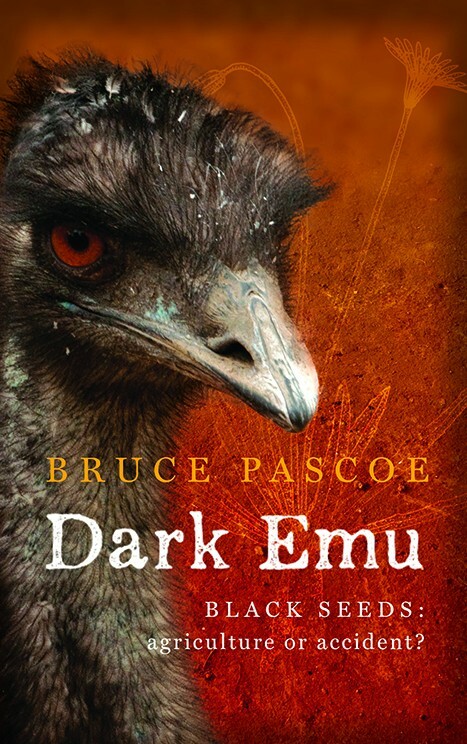 Experienced author, national award winner and Bunurong man, Bruce Pascoe, provides us with a completely new insight into Australian history in this easy-to-read non-fiction book. Pascoe refutes the long-held belief that the Aboriginal people were simple hunter-gatherers and challenges that notion as a ‘convenient lie’ by colonisers intent on ignoring the original Indigenous owners of this land. With evidence from original records and early diaries Pascoe presents new evidence about food production, construction of dwellings and clothing. Contrary to the European colonists claim that the Aboriginal people did not farm this land, Pascoe describes the sowing, growing of crops, irrigation methods, food preservation and building undertaken by the First Australians, outlining a society that was far from being subsistence hunter-gatherers. Pascoe urges our authorities to begin to acknowledge the truth about the Aboriginal society and culture at the time of the European invasion and his history is supported by respected historians and scholars. I think this book, which is very accessible, interesting and often revealing, would be an excellent authoritative resource for school libraries, particularly secondary ones. As today is Sorry Day and as Reconciliation Week kicks off, you may like to consider this as a worthy addition to your curriculum and library collection. 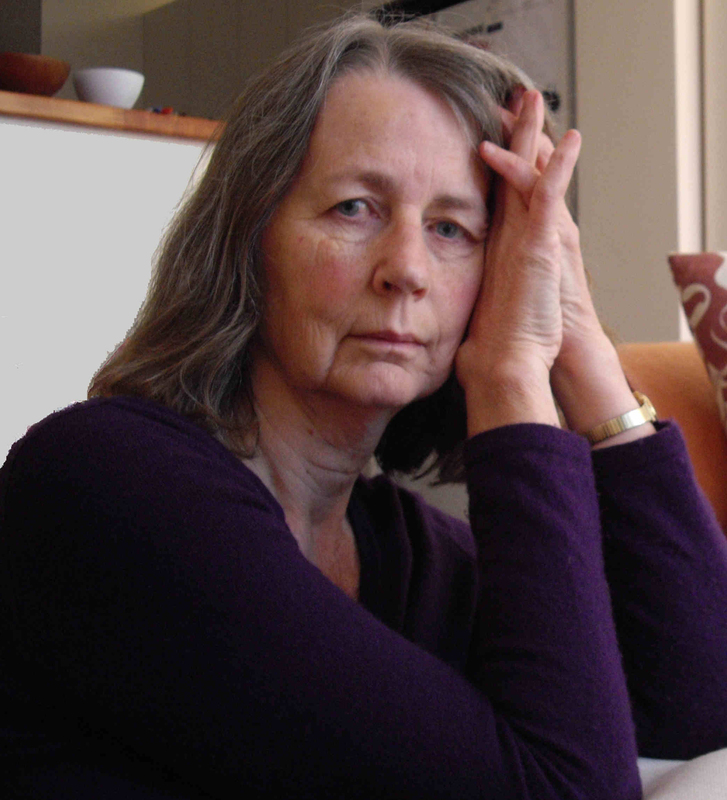 You say that you knew you wanted to be a writer from an early age and though it took a while, you have achieved that. What was it about writing that drew you so much as a child? I don’t know what it is in some people that makes them want to create – but it’s probably more accurate to say it beats me why some people don’t want to create! When I look at a beautiful object I want to make something just like it. When I look at an exciting picture I want to draw or paint, even though I’m not much good at it. And ever since I started to read (which was well before I started school, I don’t know how) I have wanted to write my own stories. I didn’t realise it was something you did as a job, because the adults in my world didn’t do anything like that; but writing was an extension of reading, another way of enjoying words and stories. You have written technical manuals, you write for adults and as well you write for children. Do you find it a difficult thing to ‘switch’ modes – and what specific differences do you find between writing fiction for adults and fiction for children? Writing technical manuals is not as exciting and you can’t make things up, of course, but you do have to say exactly what you mean, so I think it’s good discipline. I have always preferred the sort of writing where you don’t ramble on and on. As for switching between adult and children’s writing – I don’t really find it difficult because I try to write from inside the characters. I start with an idea for a story, and that determines whether it will be a children’s or an adult book; then I populate the story with people and places, and think a lot about the characters until they come to life for me; then I think through the events of the story the way the characters would experience them. Kids’ interests and preoccupations are pretty different from those of adults, and I try to be true to that. Kids and adults have different vocabularies, different background knowledge and different preconceptions. I’m not so much writing for the reader as writing from the point of view of the characters. The Tunnels of Tarcoola – and now Crooked Leg Road – both revolve around Balmain, where you now live. I understand when you wrote Tarcoola that you had not yet bought the place at Balmain, so what was the impetus for setting the story in that suburb? How does the history of Balmain continue to inspire your writing? Actually we have lived in Balmain for over 30 years. This is the third house we have owned within a very small neighbourhood and the sixth or seventh we have lived in. I am excited about the current house because it was built in 1845 as a sort of country retreat, so things were very different then, and as we uncover its layers you can’t help thinking of all the changes that have taken place, especially in the way people think and the way they live. Our house was built from local sandstone because it was the most readily available material, not because people thought it was anything special. For mortar, the original builders ground up shells that they found in Aboriginal middens on the foreshore – shells are rich in lime, which works well with sandstone. Then, in the nineteen sixties, every square centimetre of sandstone was covered over with fake wood-grain panelling and asbestos, and the outside was sprayed with a pebbly stucco and painted pink. They thought that looked much better. How amazed those people would be to see us stripping it back to the original! There are no pictures of the house the way it looked originally, but there is one very old lady in the neighbourhood who remembers. If I don’t listen to what she has to say and tell her story it will be lost forever. You very accurately capture the voices of the young people in Crooked Leg Road, and often I find that authors fail to make their teen characters sound believable – how do you achieve this? I recall Robin Klein once saying that she would make notes while travelling on buses with young people :-). As I said, I try to write from inside the characters, so I am drawing on my memories of what it felt like to be that age, and the things that mattered to me then, although of course kids today have a very different lifestyle. I think you just have to be observant and to listen. I go out and about a lot, and I hear people of all ages talking and let it soak in, so when I come to write conversations I just know if it sounds right. Robin is right, buses are very useful. As you have been married to Bruce Spence for a long time, one might think that yours is a very ‘creative’ household – do you often discuss your respective work and does one partner contribute much to the other’s work? We are not very arty, really. We help each other in practical ways, such as giving each other space. I usually ‘do lines’ with Bruce, which means I hold the script he is learning and prompt him – a very non-creative activity, but essential, and I have had many years of practice. He reads my work for me, but only when it’s finished because I don’t want contributions, I just want someone to tell me if it reads well. What plans are in place for forthcoming books – either for adults or children? I am going to write one more ‘Tarcoola’ book, because I feel things should come in threes. After that, I’ve got an idea for a series of books for the same age group set in the very near future, in a world that is changing rapidly and alarmingly. At the same time, I am still writing for adults: I’m halfway through a second thriller and planning a third in that series. I’m also part-way through another dystopian novel I’ve been wanting to write for a long time, and just in the last week, rather inconveniently, I’ve thought up a whole plot for another novel which I’ll have to slot in somewhere. I’ve also got some other ideas that I’m trying not to think about. What advice would you give young writers to help them? The simplest advice I can give is to read widely. Don’t just stick to the kinds of books you have enjoyed in the past, and don’t just read the latest books. Some of the classics might be dull, but a lot of them are great fun and easy to read, and you will encounter different words, different ways of describing things and intriguingly different worlds and attitudes. My other advice is to learn how to use the English language. If you wanted to be a carpenter you would be learning to use the tools for that, so what’s the difference? Who would you say have been your greatest influences in your writing? I’m just going to mention two of my teachers in high school. Mr Thomas taught English and Maths, and would often walk into our English classes reciting the tale of the Good Samaritan from the Bible: “A man went down from Jericho to Jerusalem, and on the way he fell among thieves…” His point was that the story was told in very simple language, with no frills, and I have always remembered this lesson. Our English Literature and French teacher, Mrs Crebbin, taught me to love poetry, Shakespeare and Dickens, and to want to write words that could make people cry. Can you tell us about your favourite author/s, genre/s, title/s? I’ll just stick to books that children might like and try to avoid the obvious ones (there are so many). I don’t read a lot of fantasy but I love books that are truly imaginative. TH White’s ‘The Once and Future King’ introduced me to the glory of the Arthurian legends, ‘The Hobbit’ is a wonderful introduction to JRR Tolkien, and I was entranced by Philip Pullman’s ‘His Dark Materials’ trilogy. I do love a good, gripping adventure, and I’ve always been attracted to tales of human survival and resourcefulness. One of the few books our family owned, and that we all loved, was called ‘Hell on Ice’ – the story of how the crew of a ship called the Jeannette, which was crushed by ice on a failed Arctic expedition, trekked a thousand kilometres to safety. 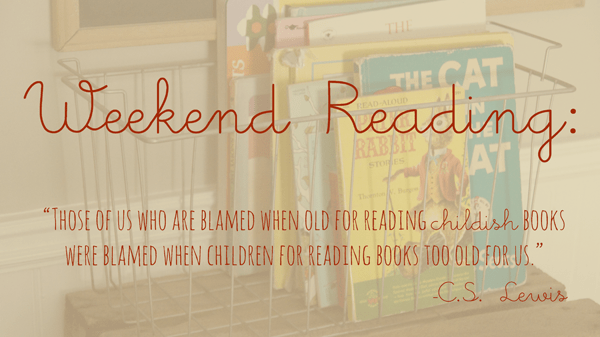 There are some great books about children managing on their own against the odds: Ivan Southall’s ‘Ash Road’ is about surviving a bushfire, Ian Serraillier’s ‘The Silver Sword’ is a classic that has stayed with me, and of course ‘The Chrysalids’, by John Wyndham. I attribute my love for the theatre to a series of English books by Pamela Brown also about resourceful children, who find a disused building and set up their own theatre. I was entranced. What would you like your epitaph to say about you? thank you very much Jennifer!!! Jennifer’s new book Crooked Leg Road, published by Allen & Unwin, is available at all good bookshops and online. Thank you to Allen & Unwin and Jennifer for the opportunity both to review the book and ask the questions!!! 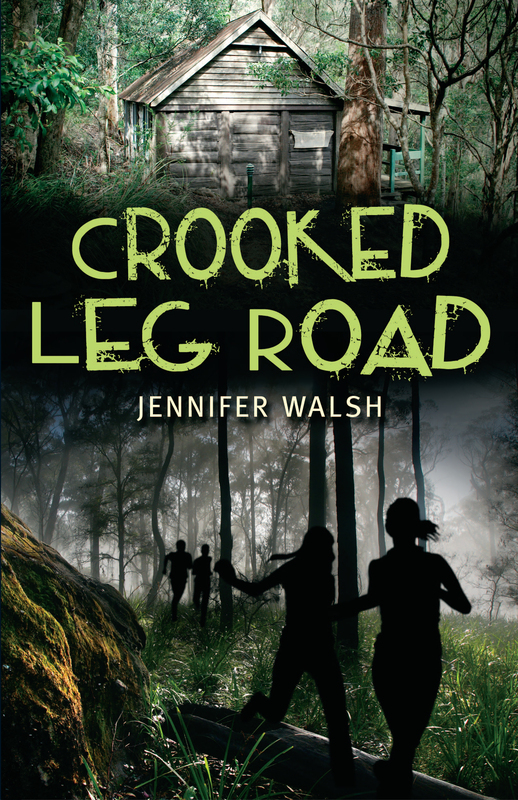 Stay tuned for an upcoming Q&A with author Jennifer Walsh – The Tunnels of Tarcoola and newly published Crooked Leg Road. Questions have been sent – I will post as soon as reply comes in. Happy reading! Yay, for the weekend. When your readers have eaten up all the Andy Griffiths and Jeff Kinney laugh-out-louds, these are the next choice for them. With the same kind of hilarity, groan-making grossness, ridiculous situations and craziness, boys in particular will revel in these books from Tristan Bancks. Tom Weekly is the anti-hero in question and whether he is mucking around with his best mate Jack, being victimised by his evil older sister Tanya, in trouble with his long-suffering mother or arranging a ‘granny fight’, Tom has the knack of getting himself in and out of tricky situations with the ease associated with most ten-twelve year old boys. Has your nan ever wanted to climb Everest and enlisted your help in her training preparation? Are you a dog-kisser or a non-dog-kisser? Ever been singled out by a killer magpie? Tristan’s love, as a kid, of the weird and wacky stories by Paul Jennings is evident in his snapshot short stories about Tom and his misadventures. Written in a similar style to the Wimpy Kid books, with Gus Gordon’s amusing drawings interspersed with the short stories, lists, jokes and more, these are engaging and easy to read for reluctant readers as well as being superb quick read alouds. Encourage your readers to visit Tristan’s website for not only more information about the author and his work but interesting interactive fun and handy hints on writing and life. Highly recommended for readers 9 and up. This new series from Random House is going to be a knock out success with younger readers, particularly boys, especially as rugby league season ramps up into full swing. Simply but well written, with lots of turn-the-page action and realistic characters and settings, these will see reluctant readers particularly fully engaged. Josh is ten years old and is finally allowed to join his local footy team, the West Hill Ravens – urged on by his league-obsessed grandfather. After all his anticipation, Josh’ first game is pretty much a disaster with embarrassing sideline barracking from grandad, and fluffing the potentially winning try. As he wonders if he has what it takes to make a good team member, his all-time favourite player and NRL legend, Billy Slater, turns up at training and gives the boys a few pointers. He also agrees to be their special mentor. What more could a team of ten year olds want? Billy Slater continues to support the West Hill Ravens as their mentor which is great news for Junior – the team’s youngest but biggest player. While it’s great for the team that Junior is their top score maker, it’s hard on him to feel that he is only recognised because of his size. Billy’s new team challenge seems to only make things worse – or does it? It seems Billy has a lot of good advice to offer these young aspiring players. 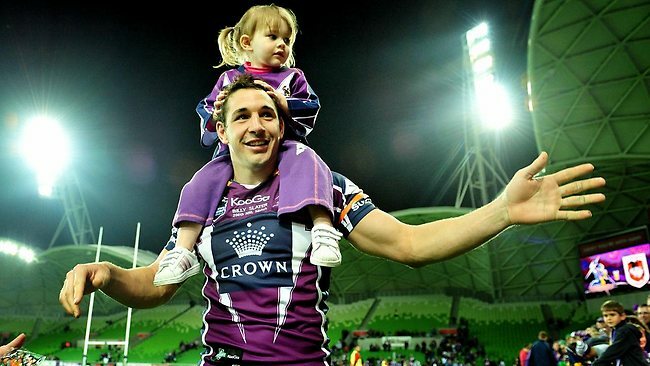 Billy Slater is arguably one of Australia’s best ever league players (and yes, I have often wished he played for MY team!). He is also a well-regarded player especially in these times when our professional athletes can often be disappointing role models. I think it’s a tremendous combination to have Billy promoting reading alongside this fabulous sport, so popular with our primary aged students. With two more titles scheduled for release in a few months, this will be one series that will very likely be in high demand in your libraries. Recommended for readers 8 and up.